This works wonders to really soften dry, rough skin. If your skin is thirsty, this does an amazing job at getting rid of dry patches and tight-feeling skin. This one has to be my favorite out of all three. It really helps my skin after a long plane ride when I see dehydration the most! I love how it feels super light, but extremely moisturizing at the same time. If you choose to try only one, I definitely recommend this one. This works to really help brighten dull or tired skin. If I didn’t get enough sleep, or have been doing too much traveling, this honestly works so well to make my skin appear less fatigued! I’ve also really noticed a reduction in acne scarring from this, and it has evened out my skin tone quite a bit. This is so amazing at reducing redness and calming minor breakouts I have. This doesn’t dry out my skin at all, which is amazing for an acne treatment. It seems to reduce inflammation in breakouts while soothing my skin and any breakout-prone areas. These serums are so light and absorb quickly into the skin. I prefer to use them in the morning and the evening, after washing my face but before I apply moisturizer. 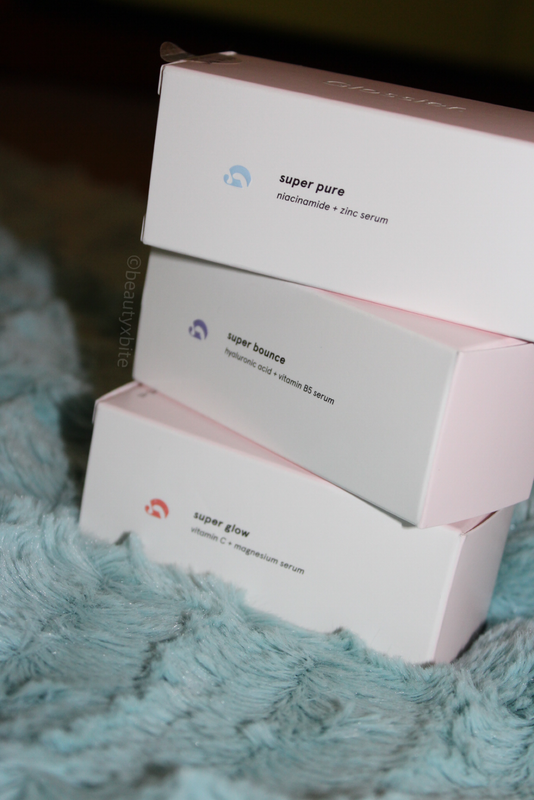 I alternate between Super Bounce and Super Glow for the daytime, and I save Super Pure at night to help calm and prevent breakouts. I sometimes use Super Bounce mixed with Super Pure if my skin is feeling extra dry that night. 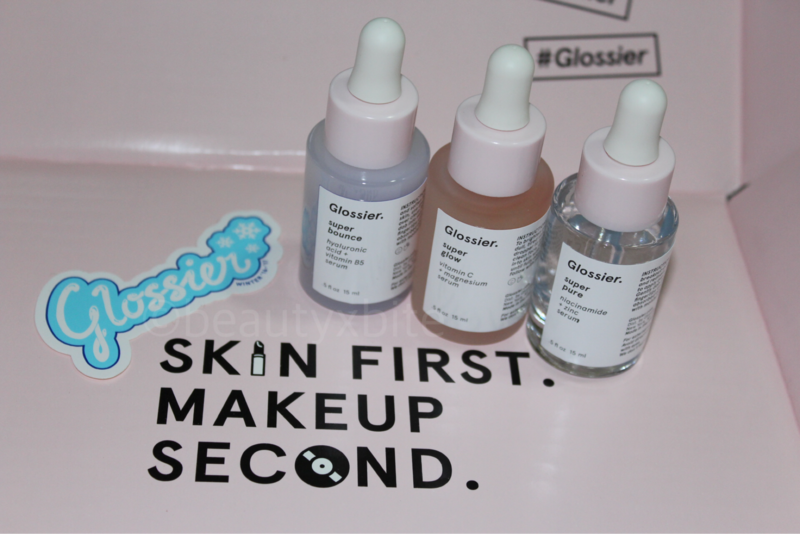 It is noted on the Glossier website that you can use more than one Super a day, but each only once a day (this is because these are so concentrated). You can purchase these at http://bff.glossier.com/fb3qJ (referral link) and get 20% off of your first purchase! There is also free shipping at $30. The set of all three Supers is $65 (The Super Pack- you save $19), or you can buy them individually for $28 each. As always, I recommend consulting a dermatologist or skincare professional if you are unsure how this will work for your skin type. 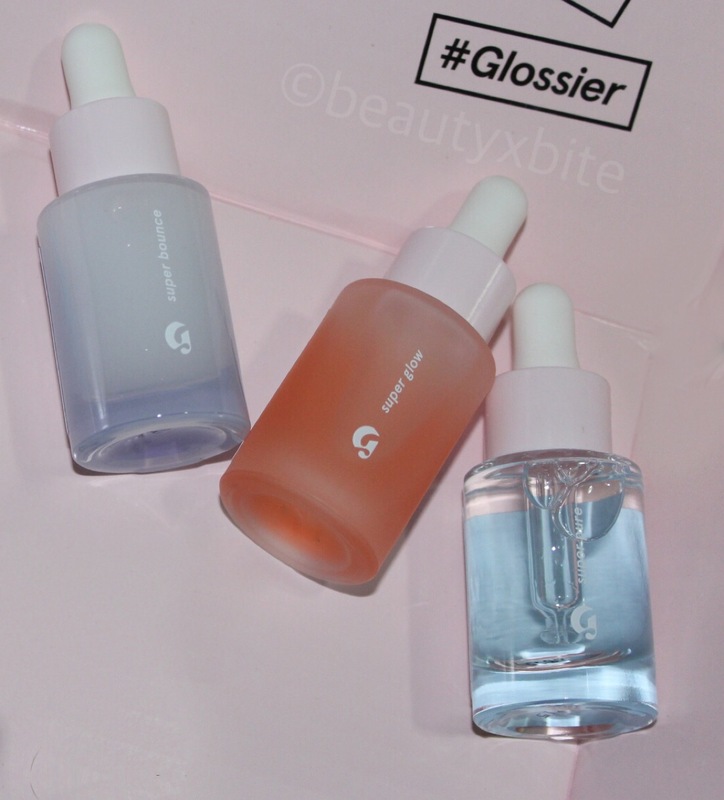 What have you tried from Glossier?